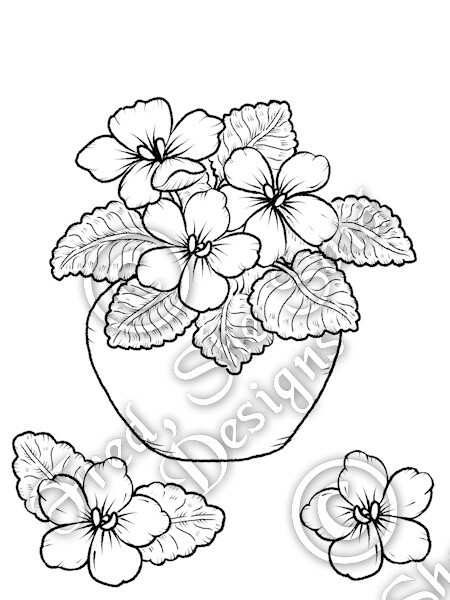 -Includes uncoloured outline versions of Potted African Violets, Violet Spray ( without pot ), Single Violet with Leaves, and Single Violet Flower. ( JPG, PNG ) Also includes ready-to-print JPG sheet with all elements for printing and cutting out. 3 Bonus A2 cardfront panels ( JPG) are included with violet sprays layered to form lovely side/bottom border arrangments. 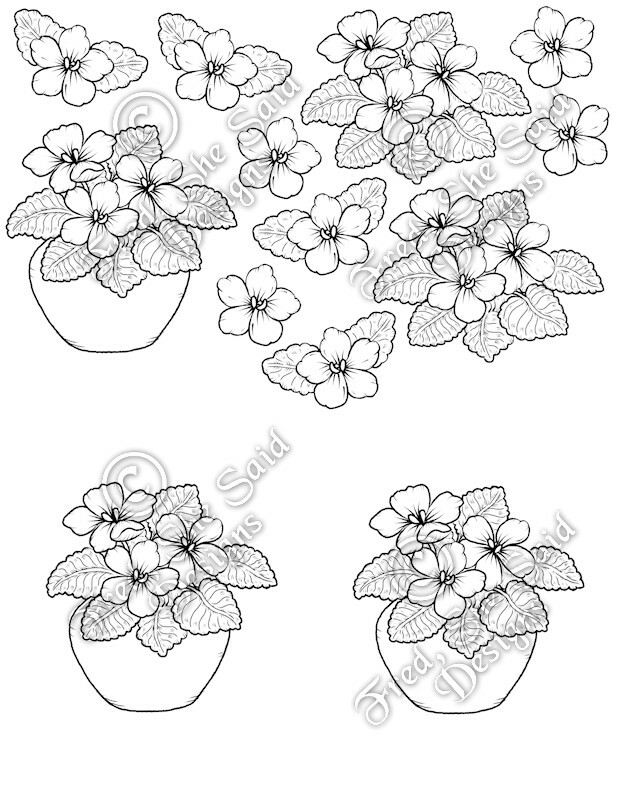 African Violets COL Set ( pre-coloured can be found HERE.